Salma 37, an ambulance driver, is a witness to the daily harsh reality of Tunisian society. She left her husband, 55 years old artist-sculptor Hicham, for his ethylic passive-aggressive behavior. Disturbed and disoriented, their only son, Mourad 17, drifts away from his mother to find refuge with a Salafi group, before disappearing. When Salma receives a phone call from her son informing her that he left to fight alongside jihadists, she decides to go to Syria to bring him back. She crosses the Syrian border through Turkey and poses as a militant of the Islamist cause. She will work under the control of Jabhat al-nosra, the armed rebel jihadist group affiliated with al-Qaida, while hiding her true motivations... at the bedside of the wounded, in the midst of the concubines, or in the kitchen, her commitment is only equal to her desire to find her child. Will she find him and will she manage to extract him out of the Syrian hell? 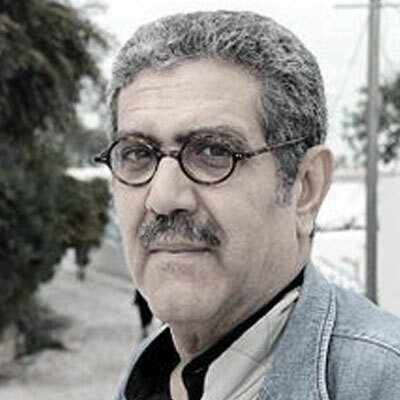 Tunisian film director and producer Ridha BEHI, was born August 7, 1947 in Kairouan. His first two feature films, Sun of the hyenas (1977) and Angels (1984) are selected for the Directors’ Fortnight at Cannes. Swallows do not die in Jerusalem (1994) won the prize of the International Critics at the Carthage Film Festival in (1994). The Magic Box (2002) was selected à the Venice Film Festival, winning also the Special Jury prize at the Carthage Film Festival. In 2011, Always Brando is selected at the Toronto Festival Film. He was also awarded Best Arab World Producer at the 5th Abu Dhabi Festival and Best Director at the Alexandria Festival.